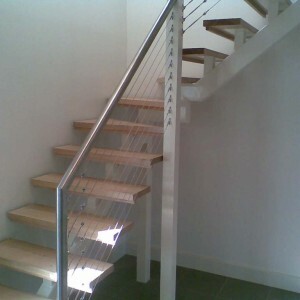 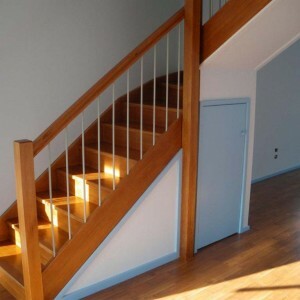 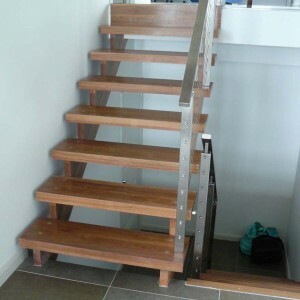 Talk to Coastal Staircases about a quote for steel balustrades Geelong. 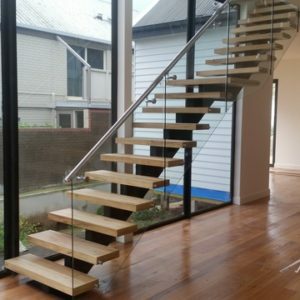 Our staff are happy to meet with you, show you the sample displays at our showroom and help you with design and material selection. 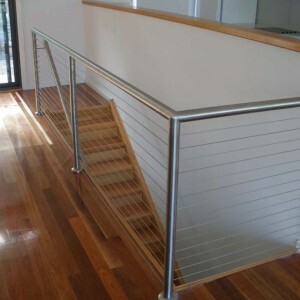 As we fabricate steel balustrades here at our factory in Geelong we can customise them to meet your specifications. 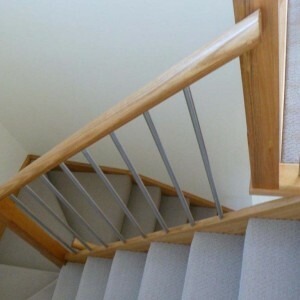 Steel is a versatile and classically beautiful material for balustrades that works brilliantly with wooden staircases and handrails. 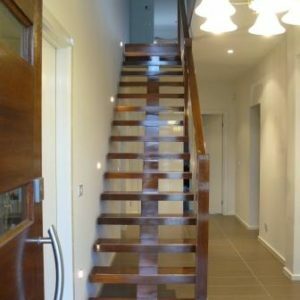 You can choose plain, rounded, or square, curves and twists, intricate designs or features spaced along the length of the stairs. 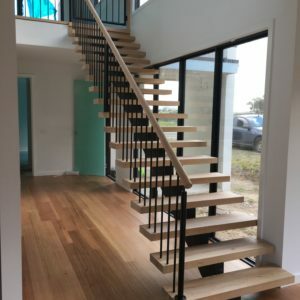 Complementing a range of styles including traditional, contemporary, modern and spiral staircases, talk to us about your ideas for steel balustrades in your home. 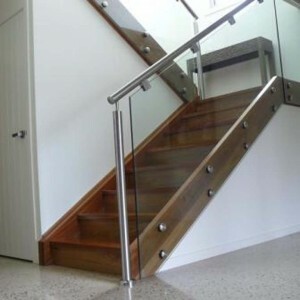 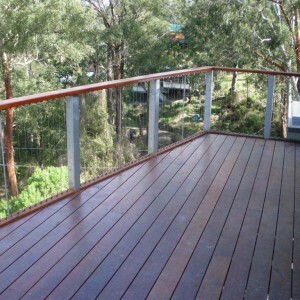 We can also help you with glass balustrades and wrought iron balustrades Geelong. 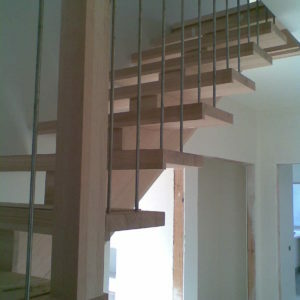 Phone us for a free quote or complete our online quote request. 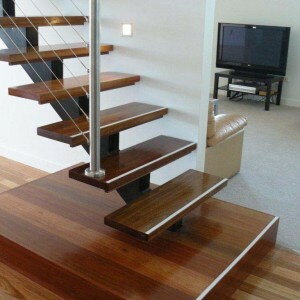 Remember that pile of recycled Messmate? 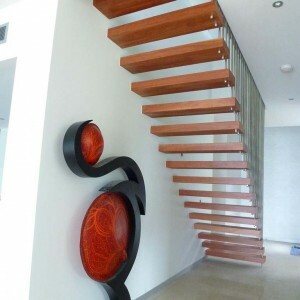 Well, here it is again as a great big boardroom table I designed for Jamie’s Ministry of Food HQ in South Melbourne! 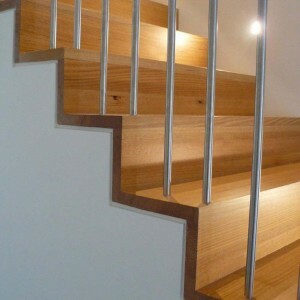 Big thanks to my friends at Coastal Staircases in Geelong for their amazing craftsmanship once again, looks amazing!